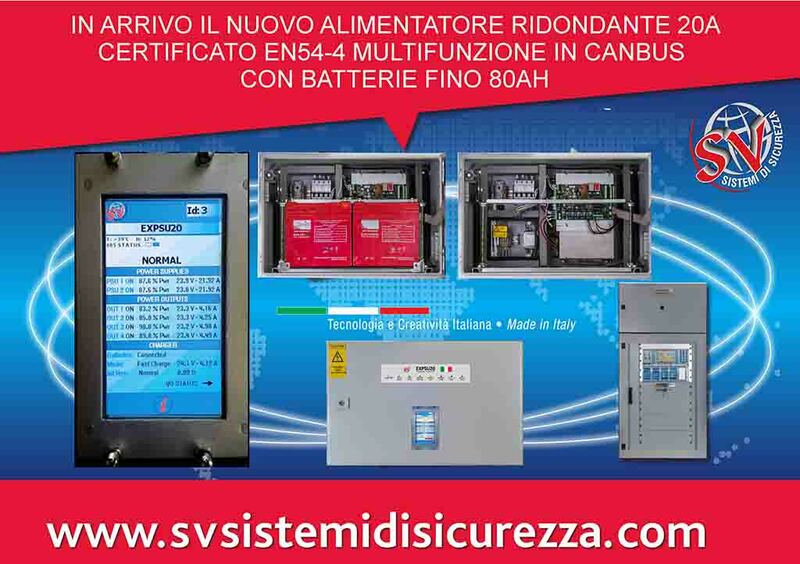 It is a system of control and charger batteries?to respond to the requirements of EN54-4, usable both in stand-alone applications (for power supply of detection and fire alarm devices) both as A.d.a. for detection control panels on and off, as the new MINI-EXFIRE360. – N. 2 batteries with a maximum capacity of 55 Ah. 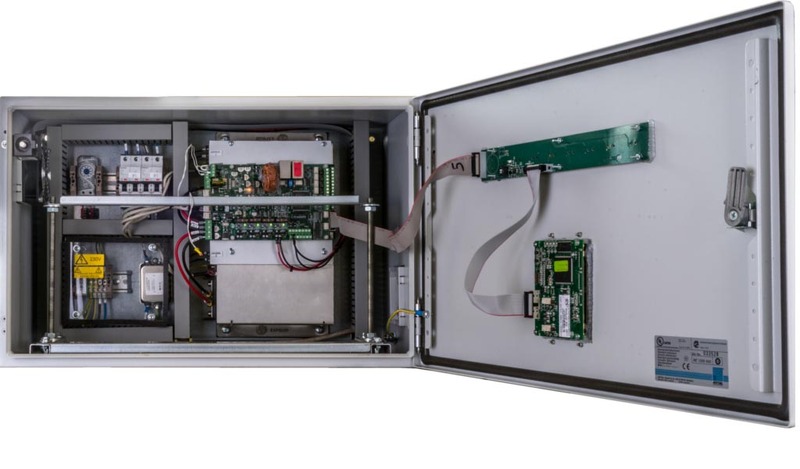 In case of need you can complete your product by installing a 4.3 “LCD touch screen on the front door, to connect to EXPSU20-LED board: it will be possible to drill the state of the system and the voltage / current measured. The control board can handle batteries with a capacity up to 55 Ah, with a maximum charging current of 3 A. 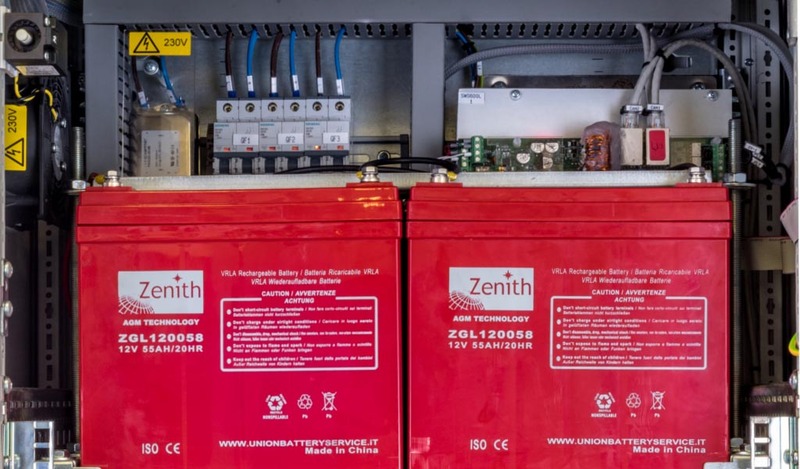 The value of the charging current, the temperature and the voltage on the batteries are supervised in a continuous way, ensuring an almost immediate reporting in case of failure. The internal resistance of the battery is evaluated every 30 minutes through an innovative test circuit that allows to derive a value of equivalent impedance more specific and determined with respect to what can be obtained with the classic charge / discharge or measuring the voltage drop tests . The power to external devices is guaranteed by 4 outputs 25.6 Vdc fused to, and limited to 5A, for a maximum of 20 A total. 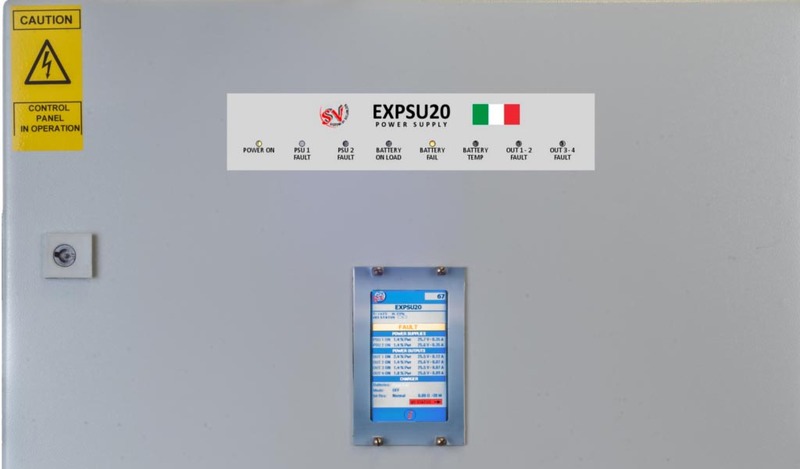 Each channel is supervised against short circuit, breakage of the fuse and faults of overvoltage or overcurrent, as well as being totally independent of the other. – N. 8 programmable open-collector outputs.